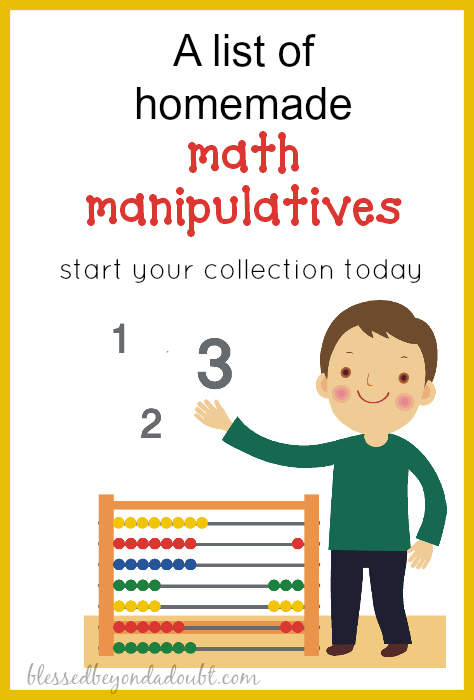 FREE Manipulatives to Teach Math! Yesterday I shared how I was letting my hair down this year in our homeschool year with the math manipulative activities. I was telling you how much I loved teaching math with concrete objects. Picking out which set of math manipulatives is FUN for the children. I love to use items from the dollar store or seasonal candy, too. If you are just starting out homeschooling, it would be kinda crazy to spend all your homeschool budget on math manipulatives. Yes, they are so very pretty, but you can build up your collection in time. 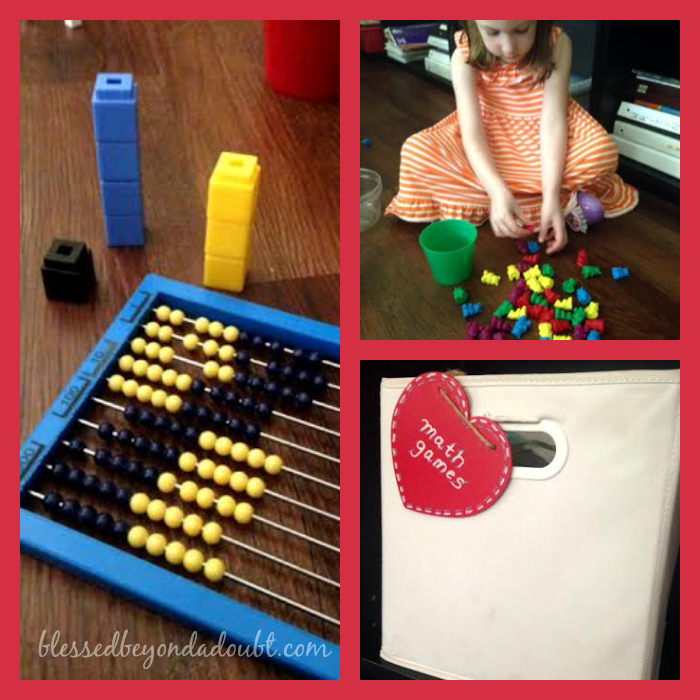 Have you thought about making your own math manipulatives for your children? My children adore making their own math manipulatives and we store them in baggies. We put all the math manipulatives in our white bin. The list could go on forever, so be creative. Your children will truly understand why 1+1=2 with concrete objects. It might take a bit longer to teach with concrete objects, but it will be so worth in the long run, especially in upper level maths. Need to know where to find FREE math worksheets? Also, be sure to check out how to make your own math sheets with the list of math generators. Be sure to follow our Homeschool FREEbies and Deal boards so you don’t miss any homeschool tips and resources! Follow our board Homeschool Deals and FREEbies on Pinterest. « FREE Princess Printable Pack!